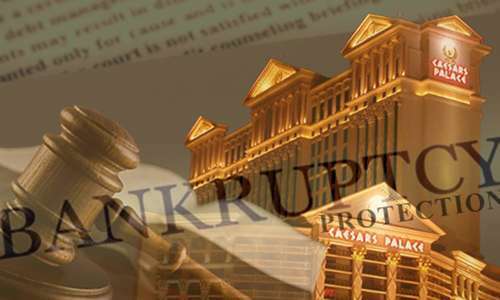 Caesars Entertainment today announced a tentative settlement between it and several aggrieved debtholders in the long-running Chapter 11 bankruptcy battle of its Caesars Entertainment Operating Company [CEOC]. The deal calls for Caesars to significantly sweeten its earlier offers to investment groups that are part of the “Second Lien Noteholder” class. Several members of that group remain active in lawsuits filed immediately after the CEOC bankruptcy filing in January of 2015. In exchange for dropping the lawsuits, which the judge presiding over the CEOC bankruptcy ruled several weeks could indeed move forward, the second-lien group will see its asset-recovery rate improved from 39 to 66 cents on the dollar. The 27-cents-per-dollar-of-debt increase comes from several sources, adding up to about $1.67 billion in total. Those sources include an extra infusion of cash ($345 million), a 14.6% increase in fully diluted equity in the “New CEC” (the other operating entity created along with CEOC in Caesars’ early corporate reorganization, plus $108 million in convertible notes. The largest single source of funding for this new deal, however, which includes adjusted recovery rate for several debtholder classes, is the contribution of most of the equity currently owned by Apollo Global Management, LLC, TPG Capital, L.P., and additional individual investors. The collected group known as Hamlet Holdings, consisting of Apollo and TPG, will contribute its entire 14% share of CEC to the new settlement. The other private investors will be allowed to retain another 6% of the company. The 14% of CEC to be contributed by Apollo and TPG is currently valued at $950 million. In exchange for that contribution, the deal calls for most existing lawsuits to be dropped and for Apollo and TPG management to be indemnified against claims of fraud brought by the aggrieved debtholders in those actions. The deal, which was first detailed in general terms late last week, was negotiated throughout the weekend and finalized in Monday meetings. The deal remains “tentative” because it still must be approved by Judge Benjamin Goldgar, the Illinois bankruptcy judge overseeing the CEOC bankruptcy proceedings. One outstanding action involving Caesars and a debtholder would remain unaffected by the deal. That’s a 2014 lawsuit brought by Trilogy Capital Management LLC in 2014, for $160 million. The action alleged fraud in the initial corporate restructuring by Caesars, and per a Bloomberg update citing a Trilogy spokesman, that case will continue. Of closer interest to Flushdraw interest is that the settlement likely ends the once-likely scenario in which the CEOC bankruptcy would be unwound. That scenario could have resulted in the forced auction of all Caesars assets, including the highly profitable World Series of Poker and WSOP.com, now the sole entity of the company’s online unity, Caesars Interactive. Also remaining in Caesars hands: The Rio All-Suite Hotel and Casino in Las Vegas, which has hosted the WSOP for more than a decade. The deal does not mean that any or all of these assets couldn’t still be sold by Caesars, but it makes it significantly more likely that the WSOP will remain in Caesars’ hands for the foreseeable future. Unsecured creditors will receive an increase in recoveries to approximately 66 cents on the dollar, consisting of a combination of cash, an increase in the amount of fully diluted equity in “New CEC” allocated to unsecured creditors, and an increased allocation of convertible notes in “New CEC”. Caesars’s [CZR] share price dipped several percent in early-morning trading following news of the settlement, a not-unusual occurrence amid the flux of the weekend’s deal.